“I remember how exciting it was when we first spoke to LOVESPACE, there was a real possibility that their services were going to offer a solution that would allow us to offer an even better service to our volunteers, schools and children. And ultimately help more children!” – Amelia, London Office Manager at Beanstalk. Beanstalk is a national charity that provides one-to-one literacy support to children who struggle with their reading ability and confidence. With Jack Whitehall as an ambassador, and HRR The Duchess of Cornwall a Patron, it is clear this charity is helping with a cause close to many people’s hearts. They are a team of over 100 members of staff and 3,000 volunteers, on a mission to help support 30,000 children through literacy by 2020. We caught up with Amelia, the London Office Manager, to find out more about this amazing cause and understand how their programmes work. Hey Amelia, thanks so much for meeting with me today to discuss Beanstalk. How would you sum up the amazing work that you guys do at Beanstalk? 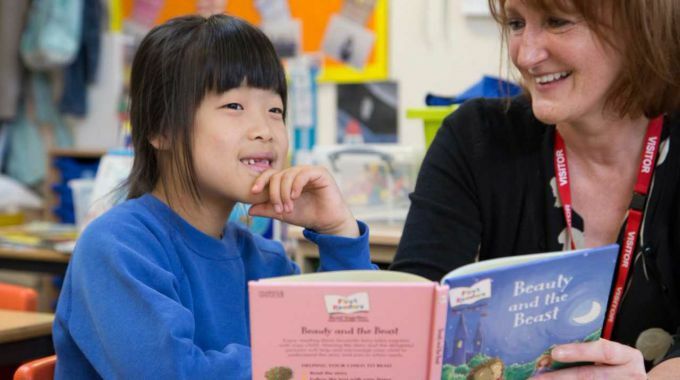 We recruit, train and support our Beanstalk volunteers to enable them to provide one-to-one literacy support to those children who have fallen behind with their reading. We provide the books for the sessions and make reading fun and enjoyable for children to help them learn. That’s great. Why is literacy so important to young people? Research shows that the earlier you can give children the extra support they need, the more effective it is. So we target children at Nursery and at Primary School. When children can read and write it enhances their life as they are able to express themselves confidently. It helps children with all aspects of life and particularly improves their performance at school across all subjects. We’ve seen that you are working with Dolly Parton’s Imagination Library, how did this come about? Dolly Paton is a real philanthropist, and her charity The Dollywood Foundation UK is always looking for ways to help improve children’s lives. We are working with them on one of their latest initiatives, Dolly Parton’s Imagination Library and the Story Starters programme. This programme was made possible by £1m funding from the People’s Postcode Lottery. The funding helps to recruit, train and equip volunteers to visit schools twice a week to support 3 children for 20 minutes each. The volunteers and the children will be provided with a selection of high-quality, age appropriate books so they can enjoy the magic and fun of reading. There is always difficulties when trying to make a big impact as beanstalk are, what is the hardest challenge you face? Definitely recruiting volunteers. And fundraising. We need volunteers to deliver one-to-one literacy sessions with the children and we need funds to be able to support the recruitment, training and provide the materials. I would also say, as with most businesses, there is always a lot going on. Sometimes it is a challenge to manage menial tasks such as archiving and the logistics side of things whilst still focussing on supporting the development of the programmes. Working with a passionate team of people who all care deeply about helping children with their literacy skills. I love to spend my days supporting the volunteers to get the best out of them and the deliver the most impact. It is so rewarding to hear feedback from the children on how we have helped them. And what is the least enjoyable part of your job? Anything that takes time away from my focus on streamlining the charity so we can grow efficiently. I work closely with our Central Office and the Senior Leadership Team to ensure that our charity functions as efficiently as it can. It is really frustrating when certain tasks take my time away from that focus. Archiving files used to be the biggest culprit for time wasting before we started using LOVESPACE. How has LOVESPACE helped improve these aspects of your job? Well now I don’t have to deal with the headache of archiving, managing and shredding of our auditing and government documents. I can spend my time on more valuable tasks because LOVESPACE do it for us. Previously, we stored them in a self-storage unit and used a spreadsheet to manage the documents and when they were due for shredding which is usually after 6 years. It would take 2 members of staff a whole day to sort through the boxes in the unit to find the ones that have expired and shred them. Now we store them all with LOVESPACE and we can see on our account which boxes are due to expire and arrange for you to manage the shredding for us. How did you come to use our services? We were introduced to LOVESPACE by one of our biggest donors as he believe that you may have a solution for our Story Starters logistics problem. We were storing the books for the programme in the regional offices, and members of staff were delivering them to schools when they were needed via public transport or in a taxi. This wasn’t efficient at all. What has the impact been of using LOVESPACE for your fulfilment? The old way of doing things was taking up a lot of our time. Now the books are delivered to LOVESPACE, where they sort and inventorise them so we can select online which boxes need to be delivered to which location at what time. This means as a team we waste less time on the road managing the logistics and more time on the impactful and interesting stuff such as recruiting, training volunteers, and working on the 2020 vision. 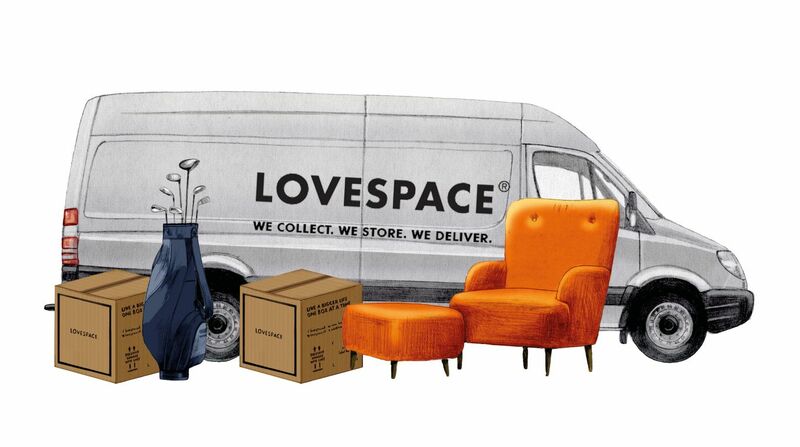 Then, when we were working with LOVESPACE we realised they could save us a lot of hassle with our archiving too. It’s great to hear about how your programmes work and how we can help. Finally, could you sum up what you guys do in a tweet? @beanstalkreads recruits volunteers to work with children who have fallen behind in their reading. We aim to help children love reading and therefore thrive throughout their education and in life.